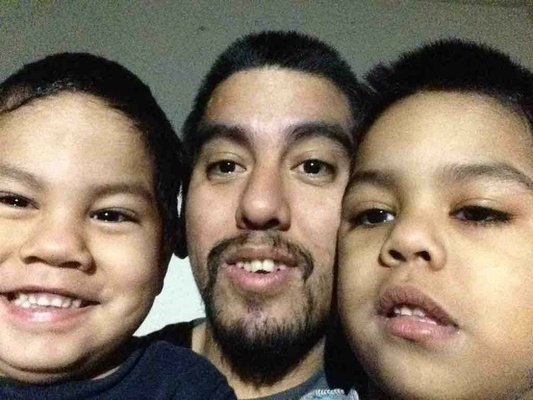 Posted Sept. 3, 2016, 9:34 a.m.
Posted Aug. 24, 2016, 6:19 p.m.
Hugo Castillo wasn’t the type to be on the streets, and he was never far from home — or his two young sons — in South Los Angeles. So a knock on the door at 2 a.m. was a shock to his girlfriend, Yvonne Rosaz. Castillo’s brother had come to tell her that her boyfriend was dead, the victim of a stabbing. Rosaz calmly drove herself to Los Angeles County-USC Medical Center. Once there, when she saw his lifeless body, did the killing sink in. The more details Rosaz has learned, the more questions she has had. Castillo, 28, had left their home about 7:30 p.m. July 21 and told Rosaz he’d be right back. At some point, he and two friends had a drink downtown, then went to Echo Park, police said. The group stopped to use the restrooms at the northeast end of the park about 10:30 p.m. While there, a man emerged from a stall and stabbed Castillo. The attacker may have overheard the men talking and mistakenly thought the group was making fun of him, LAPD Det. Ray Martinez said. The attacker is described as 5-foot-9 or 5-foot-10 with a medium build. He is 29 to 39 years old, and his head is shaved or bald. Witnesses said he has tattoos on both arms and may be homeless. For Rosaz, the killing has created another void. Grief had brought them together. Rosaz’s brother-in-law introduced her to Castillo in 2008 after the killings of brothers Roberto and Manuel Romero. Rosaz and Castillo knew Roberto Romero and looked up to him. Together they got through the pain. Now, Rosaz not only has lost her partner, but also the primary caregiver for her sons, ages 3 and 5. Castillo prepared family meals, always trying to make healthful food. He did the laundry and kept the house clean, Rosaz said. Her sons are taking the loss hard. Evan, the oldest, has begun having tantrums. Lately, Erik has been listless. Rosaz herself can’t sleep. She has dreams in which Castillo is alive, and she wakes to the reality that he is gone. Rosaz plans to move to an overnight shift in her job as a cook at LAX. That way, she can be with her boys during the day. “I just want to be there … like he was,” she said. Rosaz and other family members are dwelling on what they don’t know. Castillo never was in the Echo Park area. “If the park was full of people, how could a person just walk away?” asked his mother, Rosa Cardona, who has visited the park three times trying to find out more about her son’s death. Rosaz said her boyfriend’s killing has caused her to question her and Castillo’s commitment to helping others. Though Castillo and Rosaz didn’t have much, they thought it was important to help those in need. They both believed in karma. Rosaz wants people to know that “an innocent, loving dad” is dead. “He wouldn’t hurt anybody,” she said. Anyone with information is asked to call Martinez at (213) 484-3639. Those who wish to remain anonymous can call Crime Stoppers at (800) 222-8477.